Last September, the European Parliament nominated for the Copyright Directive that serves to update copyright for the internet medium. The critics are not in favor of the new laws and claim that it would negatively affect the internet. As the date for the final verdict draws closer, Google also joined the bandwagon and gave a ‘clear proof’ of the damage the directive might do – an empty (no so visually appealing) search page. To be more precise, the search engine giant showed an ‘empty search result page’ for its news section. Article 11 of the Copyright Directive is the most controversial part that gives publishers the right to demand paid licenses for using snippets of their stories. According to Google, this results in two choices – either they start paying for licenses or don’t show snippets at all. In a screenshot shared with Search Engine Land, the tech giant revealed what the latter approach might look like. 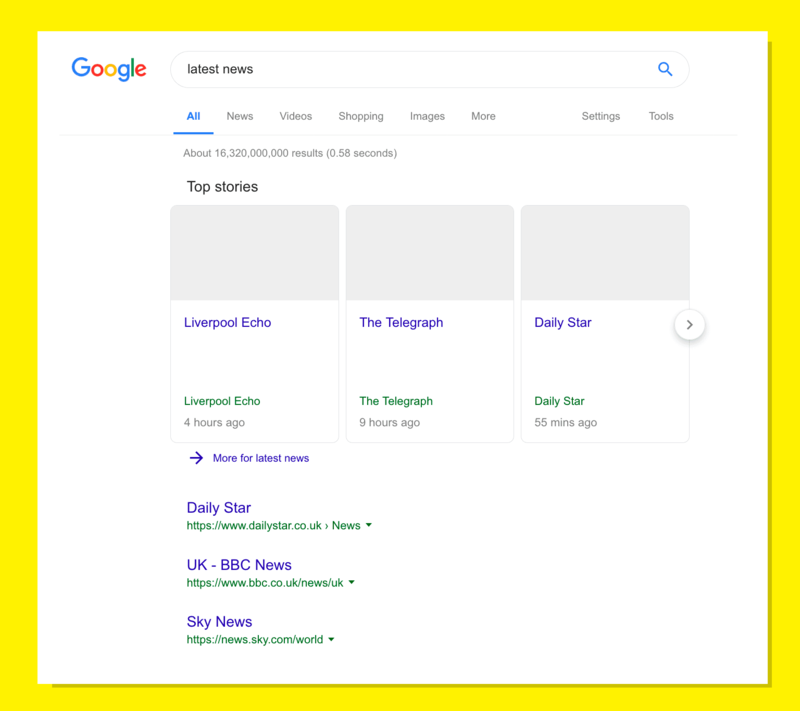 It claims that if a user from the EU searches for “latest news”, the result would lack the traditional summaries (descriptions) of stories, headlines, and images. On the contrary, they would probably only see links to media outlets sites and time stamps – nothing else! Previously in a blog post, Google’s VP of News argued that the benefits of Article 11 would only be directed towards large publishers while Google and similar companies would have to choose between “winners and losers” when paying for content. He also claimed that this would put services such as Google New in a tight position. Since they publish a significant amount of news from around the globe every day, Article 11 would sharply reduce the distribution of news. When contacted, a senior policy advisor at the European Digital Rights said that the screenshots released by Google are just a scare tactic but of course, it is a possibility that the same will result after the implementation of Article 11.